BizHawk is published weekly, and includes items of interest to the business community. Share your business news, including employee announcements and personnel moves, by emailing news@noozhawk.com. Cebada Wine’s new tasting room is open for sips at 8 E. De La Guerra St. in downtown Santa Barbara. After a year and a half in a much smaller Figueroa Street tasting room, Cebada opened the doors of its nearly 1,000-square-foot digs on Aug. 19. Cebada’s wines comes from Forbidden Fruit Orchards’ 7-1/2-acre vineyard in Lompoc. The tasting room also offers jams, syrups, sauces and green tea from the farm’s organically grown fruits. “We grow pinot noir, chardonnay, and we also produce a blueberry dessert wine made from the organic blueberries that we’re growing on the farm,” said Geena Bouché, Cebada’s general manager. Right now, the tasting room is also selling chocolates from Twenty-Four Blackbirds Chocolates and honey from San Marcos Farms, both local businesses. 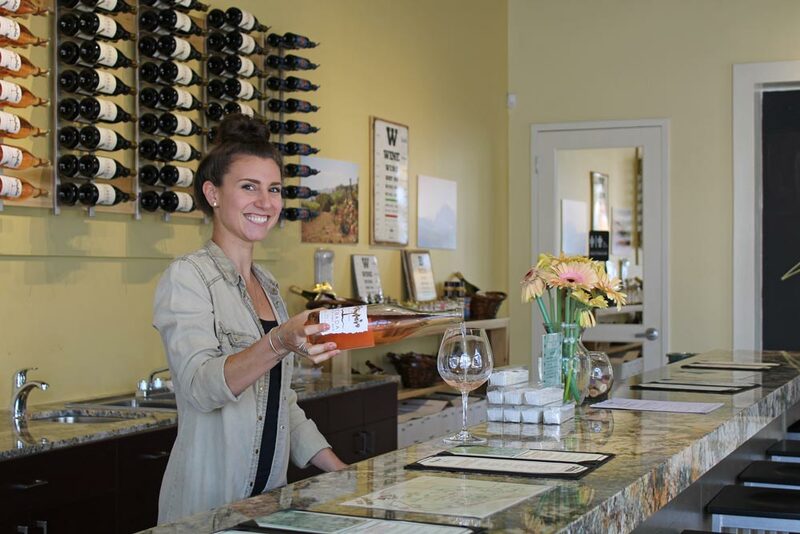 Despite the numerous wine bars and tasting rooms around town, the local and extremely popular wine industry has been great to work in, Bouché told Noozhawk, adding that the establishments are all on familiar terms with each other. The location’s grand opening, open to the public, is scheduled for Sept. 17 from 5 p.m. to 7 p.m., and will offer $5 half-glasses of wine. The tasting room opens at noon seven days a week, and closes at 6 p.m. Monday through Thursday, 8 p.m. Friday and Saturday, and 5 p.m. on Sunday.